This 'spider body' cake portion is baked in a bowl! Use a heat-proof bowl. I recommend a 2 1/2 quart stainless steel bowl if you have one, though most any heat-proof variety will work. 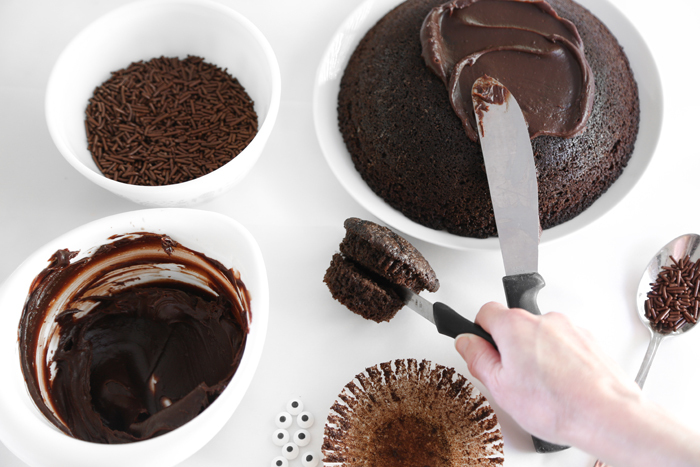 The frosting is none other than pure chocolate ganache (swoon!). That's how you KNOW it's going to be delicious. 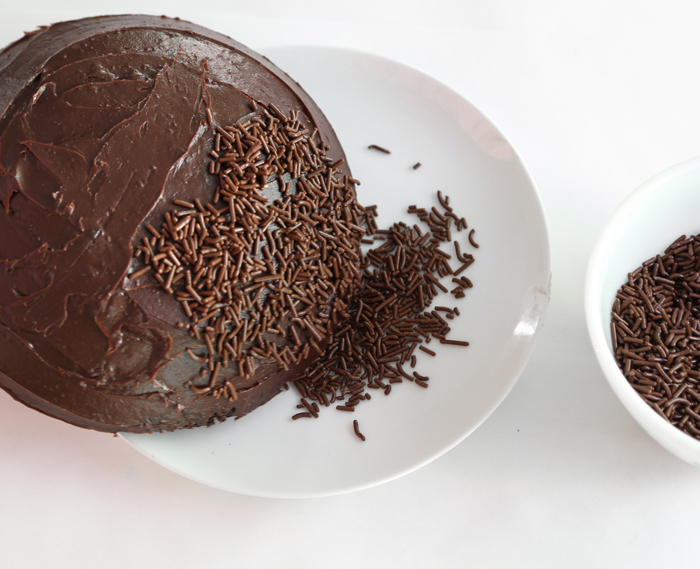 Covering a cake with sprinkles is always a messy job. This cake is small enough to hold in one hand while you pile on the sprinkles with the other. Hold it over a plate to catch the excess. 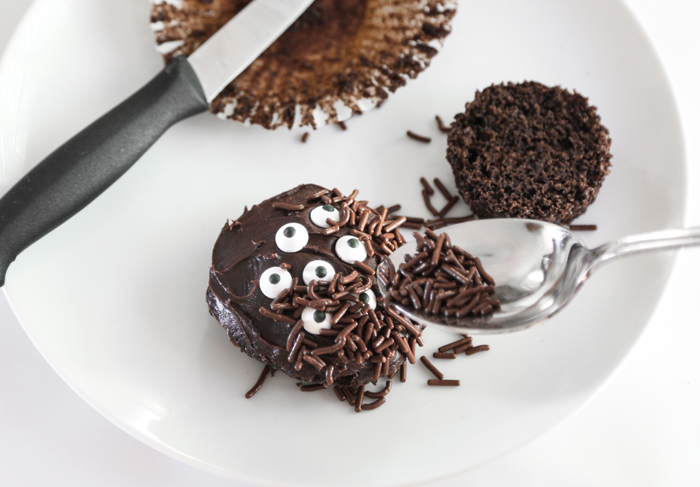 The head is made from a single chocolate cupcake cut in half. 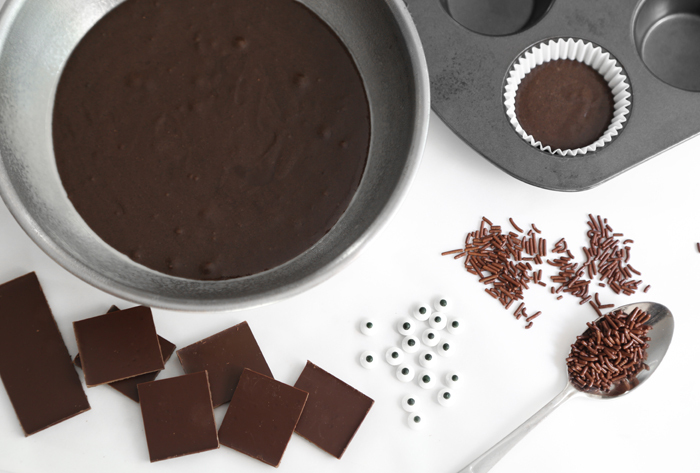 Add the candy eyeballs before you pour on the sprinkles. I got a little abstract with the eyeball placement, but I still think he's a cutie! 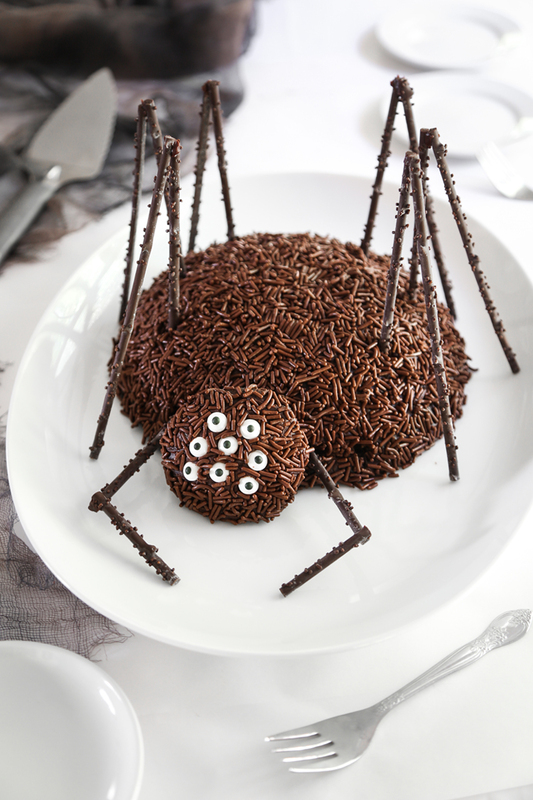 Chocolate Spider Cake on Go Bold With Butter! That is the cutest thing I've ever seen! Very creative how you put it all together.